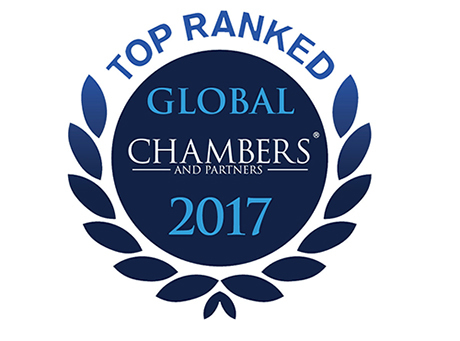 Fenech & Fenech is a multi-award winning law firm recognised internationally as a top-tier for its work, year after year. Several of its professionals are individually ranked and listed in international publications and regularly win international awards. Below is a list of the most prestigious ranking and awards received by the Firm and its lawyers during the past few years. 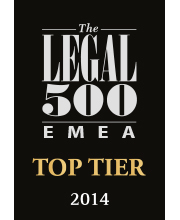 Fenech & Fenech has been ranked as a Tier 1 law firm. Partners Joseph Ghio and Nicolai Vella Falzon have also been ranked as highly regarded lawyers in their respective practice areas of Capital Markets, Investment Funds and Banking, MA. Covered by four separate teams, Fenech & Fenech Advocates’ shipping practice includes marine litigation led by Ann Fenech, ship registration headed by legal procurator Rowena Grima, Mark Fenech’s ship finance group and yachting work under Alison Vassallo’s leadership; other noteworthy practitioners include employment specialist Paul Gonzi and senior associate Adrian Attard. Malta Freeport Terminals and Royal Caribbean International are clients; Fenech assisted the latter with multiple vessel registrations. The practice is also representing Grimaldi Group and Sullivan Maritime in litigation relating to damaged cargo, and handling contentious and non-contentious issues for Virtu Ferries. Fenech & Fenech Advocates’ high-profile client roster includes BNP Paribas (Suisse) and CA+; Antonio Ghio acted for the latter on its sale to Gentrack. Further highlights include advising WinSystems on the local law elements of its acquisition of the Gold Club Group and assisting Royal Caribbean International with the Maltese elements of its joint venture with Springwater Capital. The team also counts Nicolai Vella Falzon, employment specialist Paul Gonzi, Josianne Brimmer, Monica Galea John and banking expert Joseph Ghio as key practitioners. Divided into four specialist teams, Fenech & Fenech Advocates’ department is ‘the first choice for maritime dispute resolution’ and also handles TMT and IP cases, employment disputes and general litigation. Clients include Vodafone and PRS for Music; the group represented the latter in a dispute with local radio stations, cinemas and entertainment establishments which transmitted copyrighted material without a licence. Ann Fenech is ‘one of the best in the market for marine litigation’, Antonio Ghio focuses on the TMT sector, and Paul Gonzi handles employment cases. Edward DeBono is also noted. With ‘the best informed team in the region’, Fenech & Fenech Advocates handles contentious and non-contentious matters across copyright, design rights, patents and trade mark law. Practice head Antonio Ghio recently acted for PRS for Music in multiple infringement proceedings and licensing matters; he also defended KPMG Crimsonwing in a copyright infringement claim brought by IBS and represented Novomatic Group in several disputes relating to copyright and trade mark infringements. Hotjar, Anchovy and Evoke Gaming are also clients. Associate Jeanine Rizzo focuses on the film, music and publishing sectors. The transaction-focused team at Fenech & Fenech Advocates leverages the firm’s transport, asset finance and tax strengths to advise a broad client base including VistaJet and AerCap; department head Nicolai Vella Falzon advised the latter on the lease of an aircraft to Air Malta. At Fenech & Fenech Advocates, co-heads Rosanne Bonnici and Joseph Ghio provide ‘truly personal service which pairs incredible experience and knowledge with exceptional attention to detail’. The practice, which ‘fields some of the top experts in the market’, handles the full range of financial matters including asset management, banking issues, public listings and insurance mandates. Monica Galea John leads the firm’s compliance team. Fenech & Fenech Advocates’ financial services practice includes Rosanne Bonnici and Joseph Ghio, who is ‘a go-to lawyer in the field; extremely knowledgeable, quick to respond and well respected’. The department has substantial experience advising professional investor funds and also acts for real estate funds, loan investment funds and private equity funds. Fenech & Fenech Advocates focuses on contentious mandates; it recently acted for an individual in litigation relating to unlawful land expropriation and represented an individual in a warrant relating to halting the sale of a hotel in Sliema. The group’s client roster also includes Barclays Bank (Suisse), BNP Paribas, Emmanuel Delicata Winemaker and Gamma Entertainment. Edward DeBono and Kenneth Grima jointly lead the department, which also includes well-regarded associate Daniel Buttigieg. What the team is known for: Advises clientele from a wide range of sectors on significant corporate and asset finance deals. Regularly handles M&A, aviation-related matters and corporate and commercial litigation. Expertise extends to the TMT, IP and labour and employment areas. Also strong on gaming and licensing matters. Experienced on cross-border transactions across Europe, as well as those involving the USA and Asia. Work highlights: Advised CA+ on its 75% share sale to Gentrack. 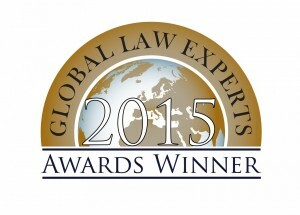 Assisted WIN Systems with the local law aspects of its acquisition of the Gold Club Group. Significant Clients: Autobuses de León, BNP Paribas Suisse, WIN Systems Group, IBM, Evoke Gaming. Joseph Ghio has established a solid reputation among peers in the market. He is noted for his expertise in banking and finance-related matters. What the team is known for: Renowned litigation department handling domestic and cross-border disputes. 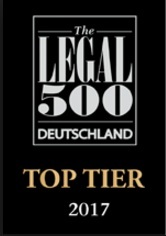 Noted for its strong focus on banking and marine litigation, where it represents a range of local and international banks and other financial institutions. Additional expertise in employment, intellectual property and TMT-related disputes. 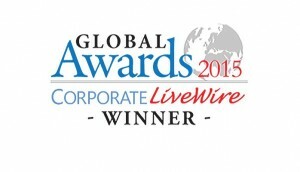 New client wins include Fimbank, Evoke Gaming and PetroPlus. Work highlights: Advised Standard Chartered Bank UK on a USD1.2 million suit filed by HSBC Malta relating to a letter of credit dispute which was issued by Standard Chartered Bank Bahraini branch. Assisted PRS for Music before the Maltese courts with various claims against local media and entertainment establishments in relation to alleged use of copyrighted material for public transmission without a licence. Significant Clients: Mediterranean Bank, Tug Malta, Malta Public Transport Services, Afriqiyah Airways, GVC Holdings. Co-head of department Edward DeBono is considerably experienced in handling civil litigation matters, according to market commentators. He also assists clients with matters of inheritance law and in financial disputes. What the team is known for: Respected financial services practice handling a wide range of matters including asset management, banking and regulatory issues, and experienced dealing with complex fund structures. Also advises local and international companies on pension schemes and insurance matters. Joseph Ghio co-heads the department and leads some of the most complex transactions handled by the practice. Clients have been “highly impressed with the level of knowledge” that he delivers, “which was not just legal but also business-oriented.” He primarily advises investment entities. Department co-head Rosanne Bonnici advises domestic and foreign clients on varied financial fronts. She is best known for her work on regulatory and tax matters. What the team is known for : Renowned market leader advising domestic and international clients on the full spectrum of maritime issues. Highly specialised in handling both dry and wet shipping matters for an impressive client roster, comprising financial institutions, international banks and shipowners. Maintains a dominant position in the yachting arena, where it advises high-profile private clients on registration and finance mandates. 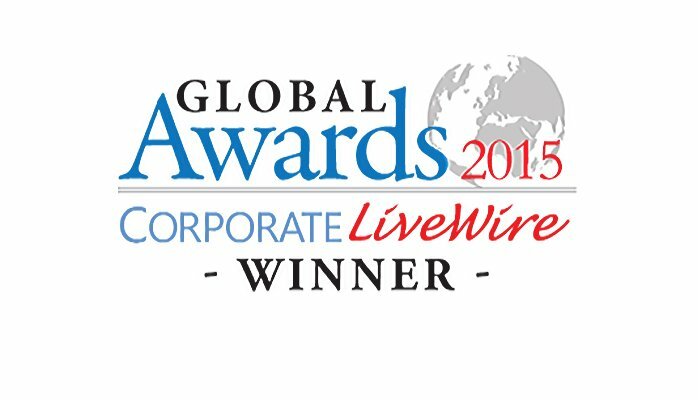 Rosetti Marino, Lasadene and TUI Cruises are new client wins for the firm. Work highlights Assisted the Maltese Association of Ship Agents with an initiative to pass legislation for the regulation of the local ship agency industry. Represented Grimaldi Group in a number of litigation cases relating to alleged damage to cargo during transportation on vessels. Significant Clients: Malta Freeport Terminals, Royal Caribbean Cruises, Sullivan Shipping Agencies, Virtu Ferries, Medserv Operations. Mark Fenech maintains a solid reputation in the market thanks to his skills dealing with ship finance matters. He is especially well versed in mortgage matters pertaining to yachts. According to market commentators, associate-to-watch Adrian Attard “is incredibly hard-working and has confidence and expertise” in this field. He assists clients with a range of contentious and non-contentious matters, including regulatory compliance. Department head Rosanne Bonnici of Fenech & Fenech Advocates is described by clients as “a true professional with enormous experience and knowledge of both Maltese and international law, together with an efficiency and attention to detail which goes with her delightful personality.” She is experienced in Maltese and international tax law. Fenech & Fenech Advocates ‘excels in the maritime field’, handling shipping matters through four specialised departments overseen by three partners. Ann Fenech, Adrian Attard and Paul Gonzi ‘distinguish themselves with their overall service and make the customer feel protected and taken care of’; they advise clients such as Royal Caribbean Cruises, Tug Malta and the Grimaldi Group on a variety of contentious and non-contentious and maritime matters. Alison Vassallo handles marine litigation and yachting matters and was recently promoted to partner. The ‘diligent and competent’ team at Fenech & Fenech Advocates was reinforced by the promotion to partner of employment law expert Paul Gonzi in January 2016. The firm handled due diligence on behalf of leading Maltese telecoms provider GO in the context of an outright sale. Nicolai Vella Falzon assisted Greentube with the cross-border sale of two subsidiary companies and the implementation of all share transfers upon completion. Clients also recommend associate Luca Amato. Other notable clients include UEFA, Vodafone and Lidl. Fenech & Fenech Advocates’ litigation department is divided into four specialised teams: TMT and IP, employment, general litigation and, the area for which it is best known, marine litigation. Notable clients include Deutsche Bank, GVC Holdings and Standard Chartered Bank. The firm advised PRS for Music in relation to the unauthorised broadcasting of privately owned material. Ann Fenech adopts a ‘tough, no-nonsense, but still reasonable approach that helps to find solutions’. Recently promoted partner Paul Gonzi represented the Malta Public Transport Services in its negotiations with the two strongest unions in Malta. Fenech & Fenech Advocates’ IP team is known for its ‘excellent level of service all around’ and advises clients such as UK collecting society PRS for Music and Brenda Camilleri Casting. Nicolai Vella Falzon heads the aviation practice at Fenech & Fenech Advocates, which benefits from the sterling reputation of the firm’s transport group. The financial services team at Fenech & Fenech Advocates is headed by Rosanne Bonnici and Joseph Ghio and advises on the full range of matters. The firm advised Mezzanine Capital Funds on licenses for a number of loan investment funds, which are to provide financing across several EU member states, and it assisted new client Hawkview with the setting up and licensing of a UCITS fund manager. Other notable clients include Arizun and Principal Global Partners. Headed by Edward Debono and Kenneth Grima, the real estate department at Fenech & Fenech Advocates recently added Gamma Entertainment to its list of active clients. Recent work includes representing a client in unlawful land appropriation litigation and advising Marquis Marcus John Scicluna on the division of the estate of his late grandfather, which included €30m in real estate. What the team is known for: Advises lenders and borrowers on significant corporate and asset finance deals. Regularly handles M&A, aviation-related matters and corporate and commercial litigation. Expertise also extends to the TMT, IP and labour and employment areas. Strong focus on gaming and licensing matters. Work highlights: Advised VistaJet on the transfer of its business from Switzerland to Malta. Advised Greentube Internet Entertainment Solutions on the sale of two of its subsidiaries. Significant clients: UEFA, Malta Public Transport, Klesch Group, Argus Group, GVC Holdings. Antonio Ghio remains an active player in the corporate and commercial sphere, with a focus on TMT and IP law. Joseph Ghio enters the rankings based on positive comments from interviewees who consider him “a very good lawyer.” He is well known for his financial knowledge and experience of M&A transactions. 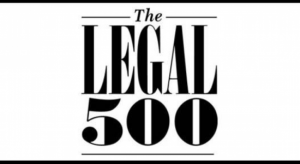 What the team is known for: Renowned litigation department handling disputes in the banking and environmental law fields. Noted for its strong focus on marine litigation, where it represents a range of local and international banks and financial institutions. Additional expertise in employment and TMT-related disputes. Work highlights: Represented GVC Holdings in a series of disputes concerning the transfer of its gaming business to third parties. Advised Vodafone Malta on a range of disputes regarding electronic communications. Significant clients: PRS for Music, Malta Public Transport Services, Standard Chartered Bank, Deutsche Bank, Rina Services. 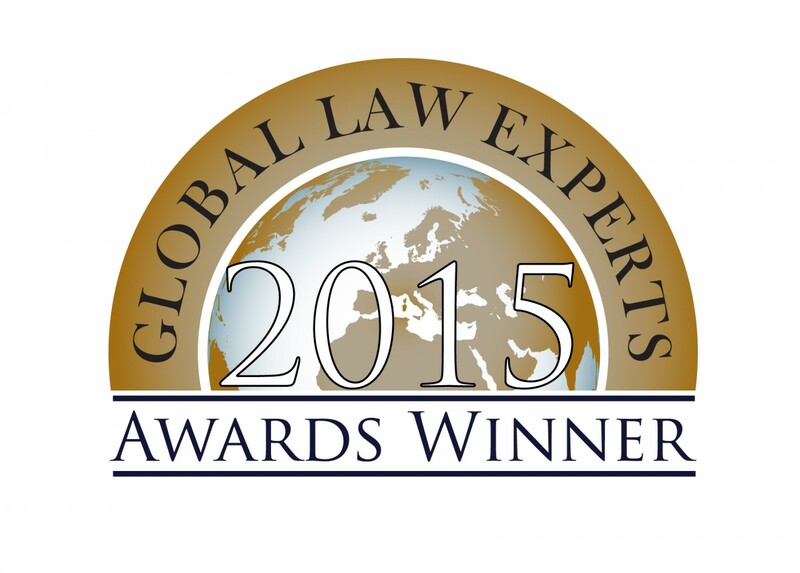 Edward DeBono is recognised by market sources as a prominent practitioner in the civil litigation arena. His additional areas of expertise include estate management and inheritance law. Partner Adrian Attard is described as “a focused and effective lawyer” by interviewees. Clients add: “I have found him to be meticulous and thorough, two qualities that I believe every lawyer should possess. He also follows up on requirements in a timely manner and always ensures that he is available to address his clients’ queries.” He is a member of the marine litigation department. What the team is known for: Respected financial services practice handling a wide range of matters including asset management and regulatory issues. Provides a comprehensive and full-service offering to clients with the support of other departments. Also advises local and international companies on pension schemes, insurance matters and tax. Work highlights: Assisted Linear Asset Management with the licensing of a UCITS Fund Manager. Significant clients: Arizun, Principal Global Partners, Tangiers Group, Valletta Fund Services, Kambi Group. What the team is known for: Renowned market leader advising domestic and international clients on the full spectrum of maritime issues. Highly specialised in handling both dry and wet shipping matters for an impressive client roster, comprised of financial institutions, international banks and shipowners. Maintains a dominant position in the yachting arena, where it advises high-profile private clients on registration and finance mandates. Work highlights: Represented Malta Freeport Terminals in two disputes, regarding damaged cargo claims, before the French civil courts. Advised Royal Caribbean Cruises on the registration of its vessels. Significant clients: International Fuel Suppliers, Tug Malta, Virtu Ferries, Medserv Operations, Grimaldi Group. Notable practitioners: Managing partner Ann Fenech has unparalleled expertise in the Maltese shipping arena, where sources deem her “a leader, who is capable of dealing with tight deadlines.” They also praise her “professional yet friendly approach and can-do attitude.” One source adds: “Her style, approach and expertise can be described in one word – excellent.” Her practice has an additional focus on yachting matters. Mark Fenech co-heads the firm’s ship finance department. He specialises in advising local and international clients on the registration of vessels. Sources note his prominence in the ship mortgage area. Alison Vassallo is highlighted by interviewees as “strong in yachting.” Her practice also covers marine litigation. The ‘outstanding’ group at Fenech & Fenech Advocates has a longstanding reputation for contentious work, with senior partner Edward DeBono, the ‘highly respected’ Ann Fenech, Nicolai Vella Falzon, Alison Vassallo, Kenneth Grima (who is ‘very good for civil cases’) and ‘up-and-coming’ partner Adrian Attard all singled out by clients. 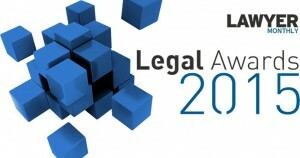 The firm is best known for its premier maritime litigation offering but has a broad practice and recently represented Gaming VC Corporation in a series of disputes regarding software licences; the team also handled cases in the automotive and energy sectors. Fenech & Fenech Advocates’ highlights in a typically active year included advising Autobuses de Leon on its acquisition of the Maltese public bus operator, and advising Argus Insurance Agencies on its purchase of a Maltese insurance company. 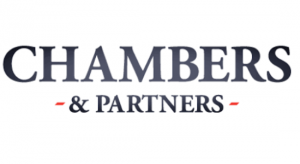 Nicolai Vella Falzon and Joseph Ghio are the key corporate contacts, with Antonio Ghio displaying impressive credentials in commercial IP and gaming work. Fenech & Fenech Advocates is a ‘go-to’ firm for Maltese IP issues, providing ‘meticulously researched and intelligently argued advice’. Team head Antonio Ghio attracts copious praise. The team recently assisted a multinational pharmaceuticals company in achieving an out-of-court settlement in a parallel import case. Fenech & Fenech Advocates ‘knows the shipping industry inside out’ and, for some, ‘outperforms other firms in the market for shipping finance and litigation’. Team head Ann Fenech is ‘the queen of the Malta maritime Bar’, and ‘a joy to work with notwithstanding her prominence’. Mark Fenech is ‘a superb drafter of finance documents and very client oriented’; and partner Adrian Attard is ‘very knowledgeable’. Shipping registration head Rowena Grima and Alison Vassallo are two other key contacts in a very large team which is regularly instructed by international firms such as Stephenson Harwood, and counts Bank of America and Close Brothers among its clients. Fenech & Fenech Advocates fields ‘one of the best teams on the island’ and is recommended for investment fund licence applications, acting for clients such as C8 Investments and Valetta Fund Services. The firm is assisting Malta-based Arizun in relation to its innovative and high-profile purchase of distressed home loans from mortgage providers in Ireland. Rosanne Bonnici is ‘excellent on tax matters’, and jointly leads the practice with ‘top-quality professional’ Joseph Ghio. Fenech & Fenech Advocates’ aviation practice is led by Nicolai Vella Falzon, and is able to leverage the reputation of the firm’s leading transport group. Renowned litigation department handling disputes in the banking, energy and environmental law fields. The team frequently co-ordinates with the firm’s ICT department to provide comprehensive advice to clients. Particularly present in marine litigation cases. Work highlights Advised Sullivan Maritime on a range of different disputes, primarily regarding damages claims. Represented Mediterranean Insurance Brokers (Malta) in a casualty-related claim. Notable practitioners Managing partner Ann Fenech is lauded by clients, who describe her as “very professional, highly knowledgeable and well prepared.” Peers also consider her a standout name in the market and praise her specialisation in shipping litigation. 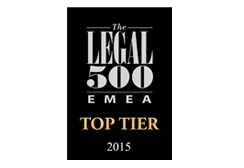 Edward DeBono specialises in civil and commercial litigation and property law. Peers recognise him as a significant player in the dispute resolution market. Significant clients Al Masalleh Group, Virtu Ferries, Chemimart, Malta Freeport Terminal, Palumbo Malta Shipyard. Renowned market leader advising domestic and international clients on the full spectrum of maritime issues. Highly specialised in marine litigation, ship finance, ship registration and yachting matters, all handled by dedicated departments within the firm. 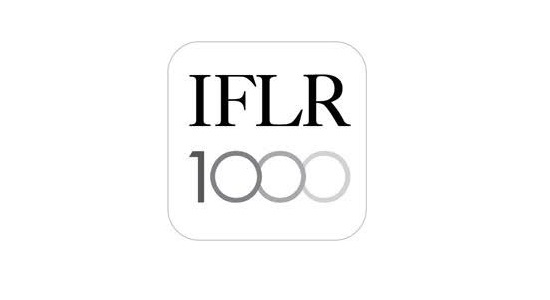 Impressive client roster comprised of financial institutions, international banks and shipowners. Work highlights Advised Macquarie Bank on the arrest of the MV ‘A Ladybug’. Assisted Deutsche Bank Nederland with the arrest of the MV ‘Alaya’ in Malta and the enforcement of its mortgage. Notable practitioners Managing partner Ann Fenech heads the firm’s yachting and marine litigation departments. She earns extensive praise from market commentators, who label her a “shipping expert.” They also describe her as “one of the global authorities on maritime law.” Mark Fenech is lauded by interviewees who deem him “one of the most reputable shipping lawyers in Malta.” Alison Vassallo focuses on marine litigation and yachting cases.Clients are impressed by partner Adrian Attard, who debuts in this year’s rankings. He specialises in marine litigation. Significant clients Island Bunker Oils, Bank of America, ERKAL Uluslararası Nakliyat ve Tic, Close Brothers. Head of department Rosanne Bonnici of Fenech & Fenech Advocates receives extensive praise from market sources, who appreciate her ability to “arrange everything in a very helpful and timely way.” She focuses on both international and domestic taxation. Advises lenders and borrowers on significant corporate and asset finance deals. Regularly handles M&A, aviation-related matters and corporate and commercial litigation. Also has a strong focus on gaming and licensing matters. Work highlights Advised Jetscape Group on a securitisation project involving several airlines. Significant clients Island Hotels Group, Autobuses de León, Argus Group, Klesch Group, Oiltanking Group. Respected financial services practice handling a wide range of matters including asset management and regulatory issues. Provides a comprehensive and full-service offering to clients with the support of other departments. Work highlights Advised Kambi Group on all Maltese law aspects of its spin-off from the Unibet Group. Significant clients C8 Investments, Arizun, Principal Global Partners, BBVA Bank, Mansard Capital Management. The 2015 Legal 500 directory identifies Fenech & Fenech Advocates as being singled out by clients and peers for its reputations based on sizeable partner-level strength as well as longstanding presence. 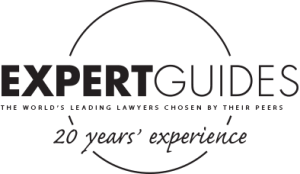 Managing Partner and Head of the Marine Litigation Department Dr. Ann Fenech has been listed in their guide for outstanding lawyers nationwide as an Elite Leading lawyer for Dispute Resolution. Shipping department team head Ann Fenech is identified as ‘the number-one expert in maritime matters in Malta’; while Alison Vassallo and Adrian Attard both attract high praise. 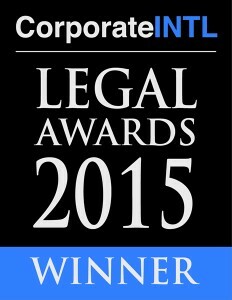 The firm is listed as ‘outstanding in all regards’ and, according to one instructing lawyer, ‘the best non-US maritime team I have used’. The shipping team were also being praised as having ‘in-depth knowledge of the Maltese superyacht industry’. Fenech & Fenech is recommended for complex multi-jurisdictional cases involving EU and international law, as well as for regulatory and tax disputes. The firm is prolific in the maritime and gaming sector, with both Ann Fen and Antonio Ghio named. Fenech & Fenech Advocates is ‘one of the leading banking and finance teams in Malta with the strength-in-depth you would expect from one of the largest firms in the market’. Practice co-heads Rosanne Bonnici and Joseph Ghio are ‘both very highly regarded with strong technical abilities and admirable client focus’. Fenech & Fenech Advocates is ‘a true heavyweight’ in the market. Nicolai Vella Falzon who heads the team, Joseph Ghio and Antonio Ghio were all listed. Fenech & Fenech Advocates’ ‘high-calibre’ aviation team combines ‘excellent legal skills with detailed industry knowledge’, and is part of one of Malta’s best-regarded transport practices. Nicolai Vella Falzon is singled out by clients. Antonio Ghio’s team is particularly well known for its capabilities in copyright and trade mark matters, with a significant number of clients in the creative and entertainment industries. Key contacts Edward DeBono and Kenneth Grima have experience in major property-related cases and their expertise includes commercial conveyancing and real estate litigation. Outstanding firm that maintains its market-leading position across the full range of maritime matters. Offers a dedicated marine litigation department handling both wet and dry matters. Provides notable expertise in ship registration and finance, as well as yachting. What’s new? New client wins include Macquarie Bank, Cathay United Bank and Hyundai Heavy Industries. Work highlights Assisted Macquarie Bank with the enforcing of a mortgage over an arrested vessel. Represented Pullmantur on a personal injury claim by a former employee. Highly specialised in maritime law, handling the full spectrum of shipping litigation including wet and dry disputes. The team offers a breadth of experience in contentious gaming and IP matters, with a dedicated ICT law department, as well as covering property, energy and insurance. Work highlights Assisted Virtu Ferries with a contentious claim against the US government concerning a charter of a high-speed ferry vessel for the evacuation of persons from Tripoli. Advised Stanleybet Betting International on contentious and non-contentious matters concerning gaming law in Malta. 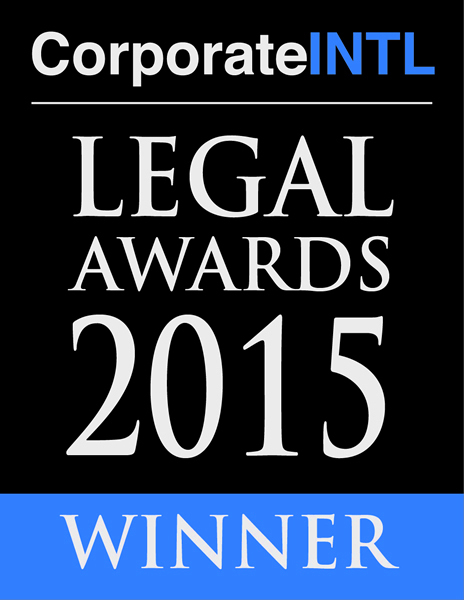 Widely regarded as an authority in maritime law, the firm also offers a solid corporate and commercial practice. It frequently advises clients from a variety of sectors on M&A, privatisations and IP. Notable practitioners Nicolai Vella Falzon heads the department and handles mostly transactional work. Clients appreciate his personable approach and good collaboration with more junior members of his team. Clients are impressed with Antonio Ghio‘s work, which they describe as “timely and diligent.” He is an expert in IT, gaming and e-commerce. Work highlights Provided regulatory advice on remote gaming matters to UK-listed company GVC in contentious gaming and IP matters, with a dedicated ICT law department, as well as covering property, energy and insurance. Focuses on asset management and setting up companies and collective investment schemes. Also handles regulatory issues. Acts for an impressive client list of financial and corporate institutions. Notable practitioners Joseph Ghio is widely recognised for his expertise in investment funds and remains a well-known figure in financial services. Rosanne Bonnici specialises in finance and tax, and her varied practice also covers restructuring and corporate law. Work highlights Assisted United Gulf Bank with a voluntary bid and takeover of an entity listed on the Malta stock exchange. Fenech & Fenech Advocates is a first tier firm, and is an ‘expert in the marine field’ and ‘a go-to firm when clients require Maltese legal support’. 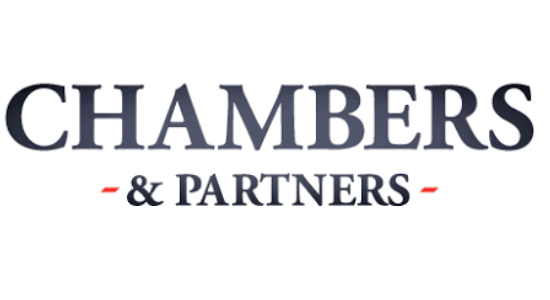 It is currently advising the Ministry of Justice and Home Affairs on the preparation and drafting of subsidiary legislation to allow private maritime security companies incorporated in Malta to obtain an operating licence. Ann Fenech – Sources say that Marine department head Ann Fenech is ‘always available to respond to any and all queries’. Mark Fenech – Sources say that Ship finance head Mark Fenech has ‘excellent technical legal skills and knowledge’. 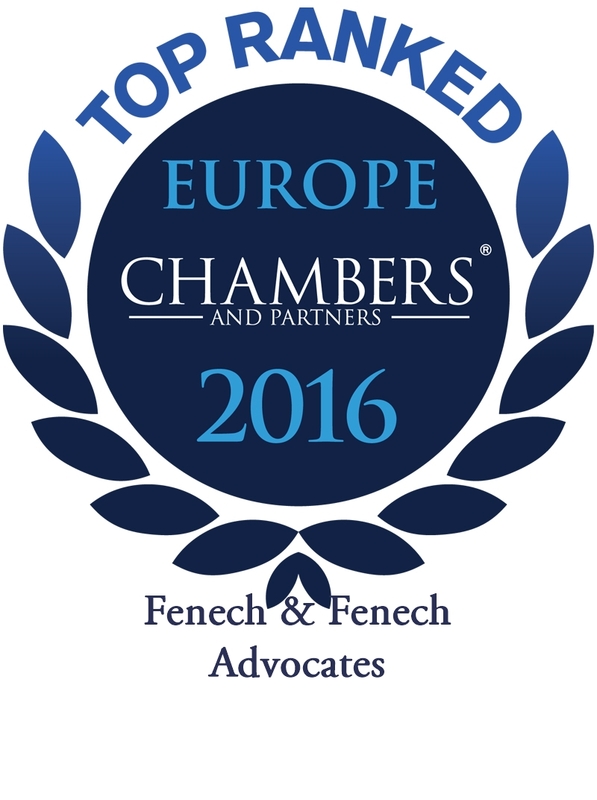 Fenech & Fenech Advocates is a first tier firm. Maritime litigation underpins the practice at Fenech & Fenech Advocates, which is many clients’ first choice for wet and dry maritime cases. In addition, the firm has experienced a rise in the number of disputes emanating from the ICT and e-gaming industries. Ann Fenech is listed as a Leading Individual. 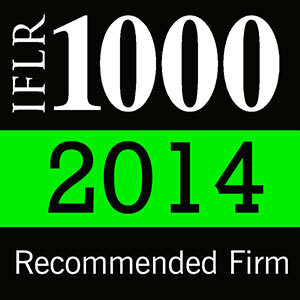 Fenech & Fenech Advocates is a first tier firm, for Corporate and M&A. In addition to strengths in corporate finance transactions and M&A, the practice is also noted for its privatisation capability. Sources say Practice head Nicolai Vella Falzon is ‘a trusted adviser’. The firm has deep roots in the financial services industry, where it provides a comprehensive service to various local and international institutions. Rosanne Bonnici and Joseph Ghio are regularly called on to advise on the structuring and formation of collective investment schemes. Fenech & Fenech Advocates supplements its strength in traditional IP matters such as trade mark and patent registration and enforcement by also advising on software licensing agreements such as drafting EU licensing agreements for apps. On the contentious front, the team is representing Gaming VC Corporation in a dispute concerning the alleged misappropriation of an online gaming client database. Practice head Antonio Ghio led on that matter. Fenech & Fenech Advocates’ Edward DeBono and Kenneth Grima undertake real estate litigation for a broad client base. The firm is known as a long-established market leader advising international players on topics including ship finance and the registration of cruise ships, cargo ships and other vessels. It also offers a respected yachting practice, as well as marine litigators with experience of disputes related to topics such as shipbuilding, charter parties and collisions. The firm is known for its notable experience in handling litigation across a broad variety of sectors and legal areas, including real estate, energy, environment, insurance, banking and public procurement. They are also known representing clients in major maritime and ICT disputes. Listed as a notable practitioner, managing partner and marine disputes expert Ann Fenech is widely regarded as one of the best litigators in Malta. The firm covers issues ranging from public and private M&A, corporate finance and commercial disputes to tax, employment and IP. It has notable experience in a number of industry sectors, including shipping, aviation and energy. Sources say, they have very good experience, are quick to respond, helpful, and provide to-the-point advice. Antonio Ghio heads the firm’s ICT law department and is sources say he is a well-regarded practitioner and is highlighted for his expertise in e-commerce and broader TMT and IP issues. The firm advises domestic and international financial institutions, funds and corporates on banking, funds, insurance and capital markets issues. Drawing on the expertise of the firm’s other departments to offer a full service, covering regulatory, tax and finance-linked ICT questions. Co-department head Joseph Ghio “is fast and knowledgeable, with a very skilled team around him,” according to an impressed client. Tax and finance expert Rosanne Bonnici “is extremely straightforward, and quick to answer requests,” says an interviewee. The practice at Fenech & Fenech straddles finance, corporate and funds work across a variety of industry sectors. Nicolai Vella Falzon is the firm’s main contact for general finance and corporate matters with colleague Joseph Ghio handling capital markets and investment fund issues. Like many of its contemporaries on the island, the firm can point to a specialisation in aviation, including financing, leasing and contentious matters. The last year has seen the firm score a first when it was engaged in two matters arising from a recent amendment to the island’s aviation law allowing for the arrest of aircraft during a dispute. In both matters the firm acted on securing the release of aircraft on behalf of Aercap and the International Lease Finance Corporation. For both the jurisdiction and the firm the development demonstrates the shift to a full-service offering for aviation clients, including greater options and flexibility in dispute resolution. Fenech & Fenech Advocates is ‘a service and solution-oriented firm’, and is ‘very client focused and has a very good response time’. The group regularly acts for lenders and borrowers in corporate and asset finance transactions with a cross-border element, and recently advised International Lease Finance Corporation on insolvency risks and issues relating to de-registration and repossession of aircraft owned by Air Malta as part of the airline’s restructuring. Nicolai Vella Falzon is recommended. Fenech & Fenech Advocates’ ‘excellent’ team is ‘attentive and sensitive to requests’ from its shipping and transport clients, and has ‘great industry knowledge’ across its four teams. The group recently advised Ovenstone Agencies on a pollution incident arising from a Malta-flagged vessel and affecting lobster fisheries in Tristan da Cunha. Clients include West of England P&I Club and Swedbank Lizings Sia, and the firm also attracts referral work from Holman Fenwick Willan LLP. Ann Fenech has ‘vast experience in shipping’, Joseph Ghio ‘excels in producing draft agreements’, and Rowena Grima and Mark Fenech are also recommended. Fenech & Fenech Advocates provides ‘a high level of service’, and has notable expertise in shipping litigation, and ‘great industry knowledge’. Ann Fenech, who is ‘very fast on her feet’, is leading the team’s advice to Gaming VC in a €30m dispute relating to a service provider’s alleged misappropriation of a client database. Fenech & Fenech Advocates is one of Malta’s leading ship finance firms, but also represents a number of banks and other clients on various financial services and investment fund matters. Rosanne Bonnici and Joseph Ghio are recommended. Fenech & Fenech Advocates provides ‘immediate responses and turnaround of documentation and investigation work’. Clients include GVC Holdings, Lighthouse & Ashley and B3W Group. Antonio Ghio heads the team. Fenech & Fenech Advocates’ Edward DeBono is a litigation specialist, but also has a significant property-based practice in matters such as conveyancing, leasing, estate management and property inheritance. Kenneth Grima is also recommended. This firm retains its position at the top of the shipping market thanks to a highly specialised team and impressive client portfolio. The group is divided into four distinct departments that handle marine litigation, yachting, ship finance and ship registration. Its client portfolio is made up of a diverse set of local and international clients, which include Danske Bank, Malta Freeport Terminals, Swedbank Lizings and Transport Malta. Dispute resolution is a key practice at this firm and it boasts market-leading expertise in marine and IT litigation. The team also has experience in advising on contentious matters of property, civil, family, energy and public procurement law. Amongst its impressive client portfolio it advises the Malta Freeport Terminal, Lloyds TSB and Gaming VC. This leading firm has a strong standing in corporate law, and is renowned for shipping-related transactions. Its varied portfolio of work includes acting on the privatisation of a number of government entities, advising both lenders and borrowers on corporate and asset-finance transactions, and representing clients in corporate litigation. The up-and-coming Antonio Ghio is building a strong reputation in the market, particularly in IT law, e-commerce, gaming and cyber-crime. This firm offers a multidisciplinary approach to financial services, advising on banking, investment funds, insurance and capital markets. The team also has experience in regulatory, tax and gaming matters, making it a popular choice with both Maltese and international banks, funds and companies.